It’s time for another pregnancy update! 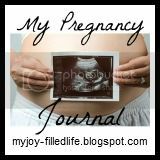 I’m participating in My Joy-Filled Life’s Pregnancy Journal. Best Moment this week? Hmm. Baby Boy is way more active. We can now see his kicks and rolls from the outside! Prayer requests? Lots of things, still. I feel like I have no idea what’s going to happen in the next few months with our lives, and I’ve always been one who likes to be prepared. What scripture is speaking to you this week? Baby’s growth? Baby should weigh around 2 pounds now. He is definitely getting big! Symptoms? Waddling, shortness of breath, heartburn. Medical Stuff? Nothing this week. Weight gain (or loss)? I’m huge. I always gain around 40-50 pounds during pregnancy no matter if I eat junk or if I eat healthily. I’m on track to gain that much this time, too. What Made Me Cry This Week? Trying to wean my daughter. Nursing is sooo painful and hearing her scream at me because she wants to nurse just makes it worse! Sleep? I don’t sleep well at all. Maternity Clothes? Yes. I love Motherhood Maternity’s secret fit belly jeans and shorts. 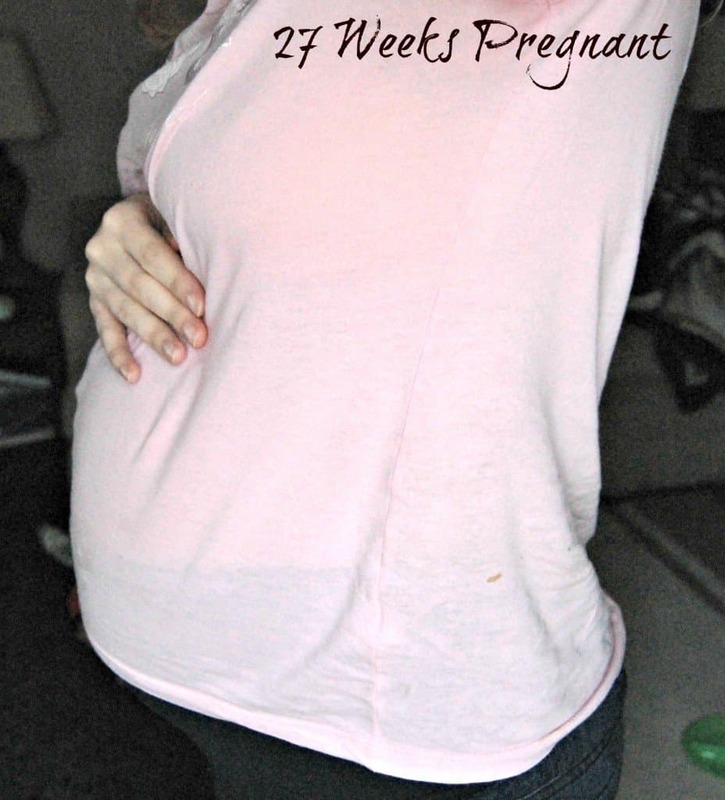 They are the most comfortable maternity clothes I’ve ever worn! Gender? Boy! I’m very slowly getting his things together. I don’t seem as motivated to get it done as fast as with the last two, though. I think it’s probably because I’m so busy! What I miss…. Being able to breathe normally. What I’m looking forward to…. Feeling settled. Knowing what’s going to be happening next year in our family. Thoughts from the family…. Not too much. We’ve picked a name and it’s not really a big hit with everyone. I don’t care this time, though. We are going to wait until he is born to share his name with the world. I don’t want to hear the negative comments! Something I’m Excited About…. Getting Baby’s clothes washed and folded and setting up the crib in our room. Discussion Question: Do you have a funny story or moment that happened during one of your labors, deliveries, or post partum periods that you’d like to share? Maybe you didn’t think it was funny at the time, but now that you look back, you see the humor in it. My Answer: Well, my daughter’s birth was sooo much easier than my son’s. She could have come out on her own, really. I was laughing because of how much easier it was and my laughter kept pushing her out. Of course the doctor hadn’t shown up yet to deliver her! It was a quick delivery! I LOVE when you can start seeing the baby move from the outside! That is so neat!! I’m glad to hear that I’m not the only one that gains 40-50 pounds during pregnancy. I have gained that much with all of mine. I don’t have trouble getting it off after, so I’m not too worried! You and your family are in my prayers! Hope you get answers and get settled soon!